A beautifully illustrated story of the Nativity. 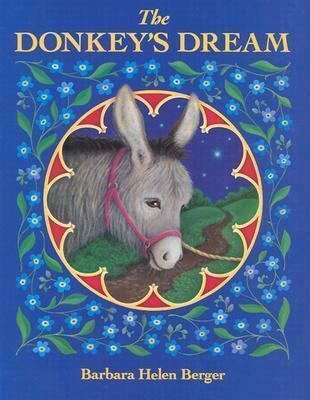 He was just an ordinary donkey, but on his back he carried a miracle. He carried the Virgin Mary to Bethlehem on the night she gave birth. Along the way he dreamed he was carrying a city, a ship, a fountain, and a rose. He dreamed he was carrying a lady full of heaven--and he was. Barbara Helen Berger's glowing artwork and lyrical text perfectly convey the beauty and majesty of the story of the Nativity.